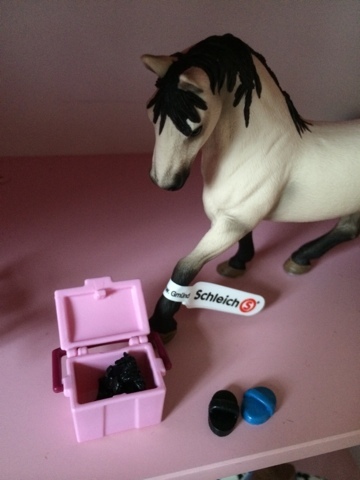 We love Schleich figures in our house, we have quite a collection because the smaller size ones cost the same as a children's magazine and usually my children choose a Schleich figure instead - the Penguins are my little boy's favourite while my daughter has a few glittery Pegasus ponies! 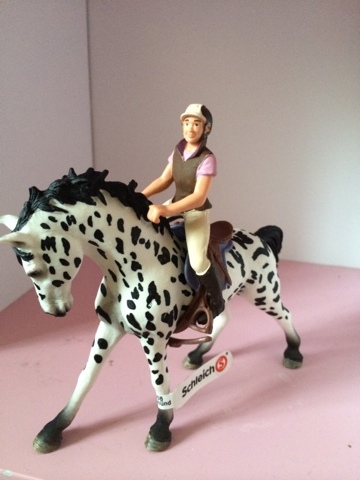 When I was invited to review the latest Horses range as part of the Schleich Farm Life collection, I had to say yes - Maegan loves horses very much so I knew they'd be a hit. 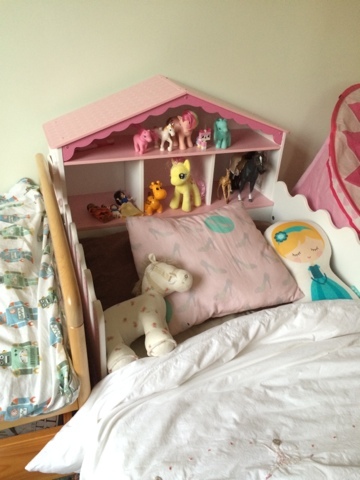 Maegan (age 4) has a sweet little dolls house bed which she uses as a stable for some of her horse collection! 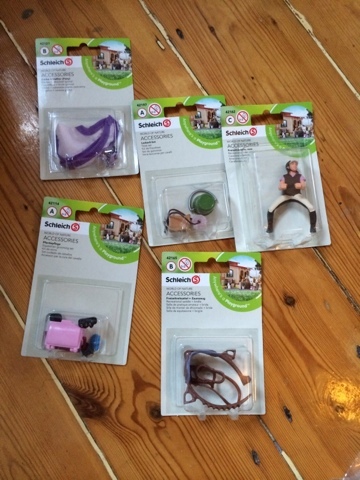 We usually pop into one of the Bromley toy shops to choose a Schleich figure, I'd never noticed the accessory packs before so I was impressed with the range available, and surprised at the great attention to detail on the small accessories you could get, right down to treats for the pony and grooming kits! 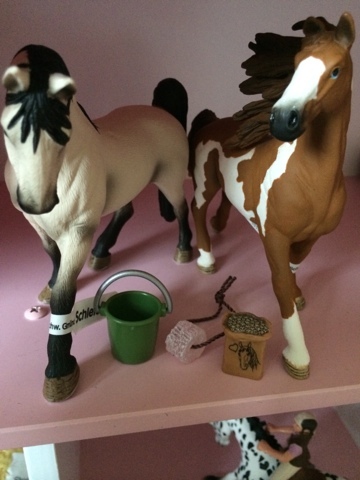 We received 3 horses from the new collection, aren't they just beautiful. I love how they are all in individual natural poses - perfect for growing imaginations! Meet Mocha, Beautiful and Dottie - Maegan has named them herself. 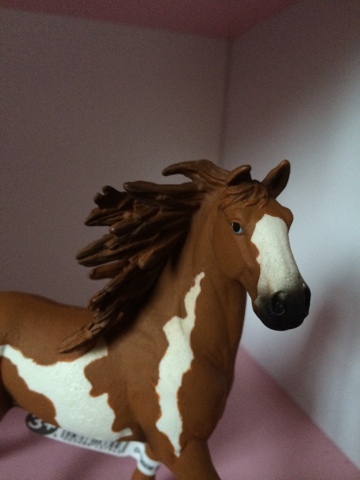 Maegan's rider has blonde hair - just like Meg. 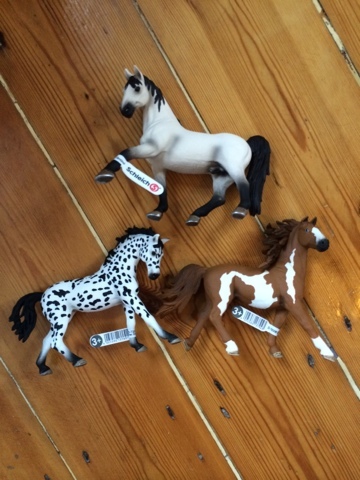 Look at the great detail on the Horse Treats accessories. 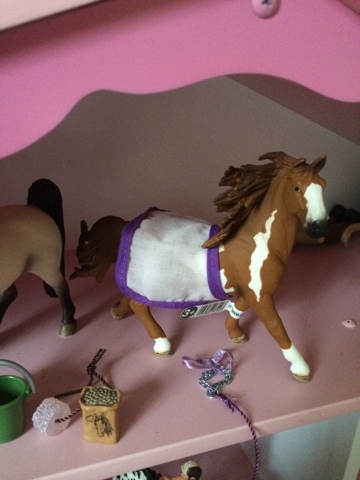 Snuggle up with a pony blanket, Maegan can easily use these accessories herself, the blanket has a simple velcro fastening so it's easy to use and also versatile enough to fit all 3 horses. Lets get ready for grooming, the brushes even have handles! Maegan loved that this horse has shiny silver horseshoes. 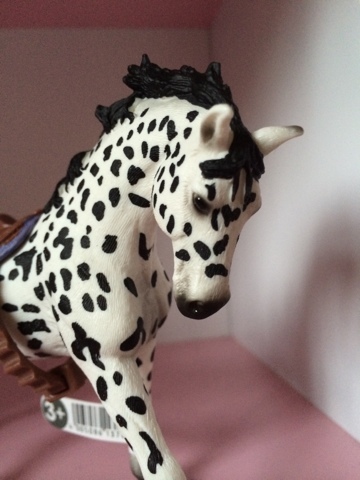 Such amazing details, just look at the beautiful eyes Dottie has. 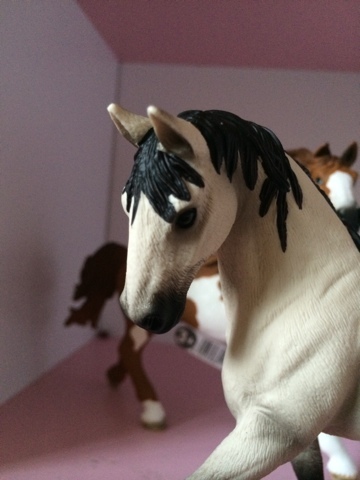 Such accurate details and a wonderful flowing mane on Beautiful. 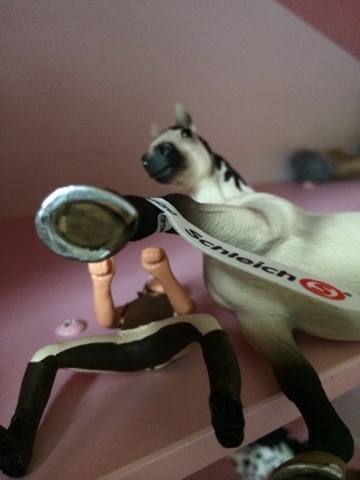 The attention to fine details is simply amazing and realistic, this is Mocha. 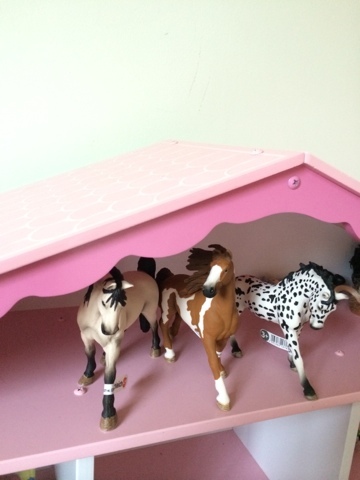 These ponies are enjoying their new stables. 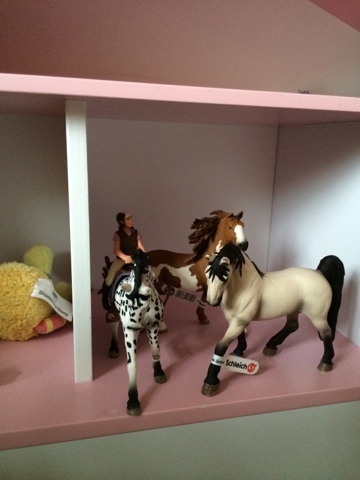 I received 3 horses, a rider and accessories for the sole purpose of reviewing this collection. 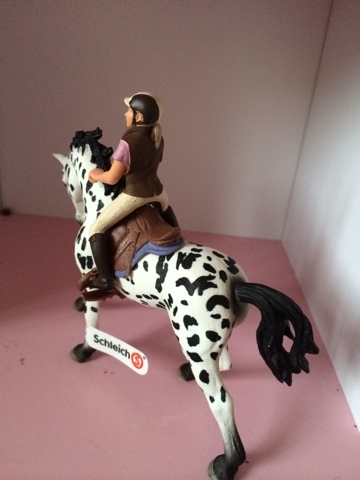 All thoughts, link choices and photos are my own and I'd recommend Schleich to everyone all day and every day.